A visit to Spain would never be complete if you do not dive into one of the most genuine artistic expressions of Spain, Flamenco music. This musical style, universally known, has its roots in the depths of the Spanish soul, going back more than 2000 years. 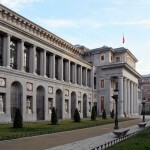 Whether your interest is music history, Flamenco or enjoying interesting stories about Madrid, we´ve got you covered. During our Tour “Origins of Flamenco” you will discover all the keys to understand this musical style full of passion and emotion, which is, without doubt, one of the icons of Spanish culture. 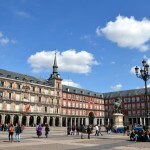 We will travel back in time to its origins into the deep Andalusía (South Spain) and discover how Flamenco reached Madrid, one of the epicenters of Flamenco music. 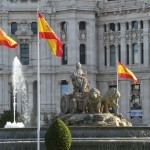 In fact, a famous quote says: “Flamenco was born in Andalucía but it is performed in Madrid”. 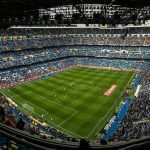 As if this were not enough, we will visit a genuine guitar workshop where you will see how the expert hands of a family of luthiers (4th generation) shape wonderful Spanish guitars, a laborious process that results in a unique instrument. Finally, we will enjoy an authentic Flamenco show (one hour duration) in one of the oldest and best “Tablaos” (Flamenco venue) in Madrid, a world away from the tourist shows. 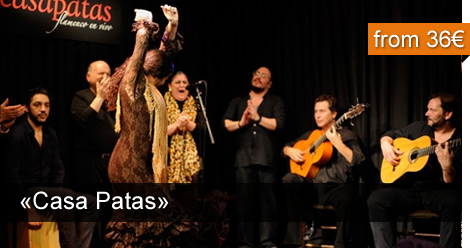 In other words, a unique opportunity to feel the passion of Flamenco and a memory for life! Guided walking tour accompanied by our expert local guide, during which you will receive explanations and interesting stories about the origin of Flamenco. Visit to a famous shop specializing in Flamenco where you will learn more about the world of Flamenco (clothing, instruments, accessories, etc.). 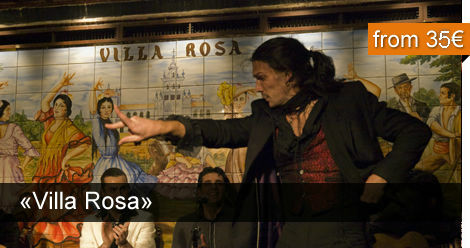 Pure Flamenco Show in one of the best Flamenco venues in Madrid (one hour duration). 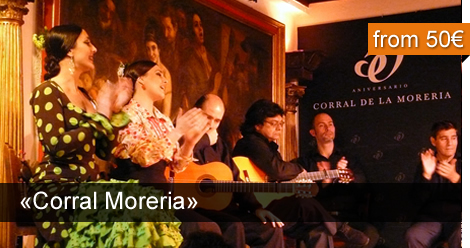 Book now your Flamenco Tour and don´t miss the opportunity to experience Flamenco firsthand. Just select your preferred date and the number of people. You will receive your tour confirmation immediately. A minimum of 2 persons is required for this tour. 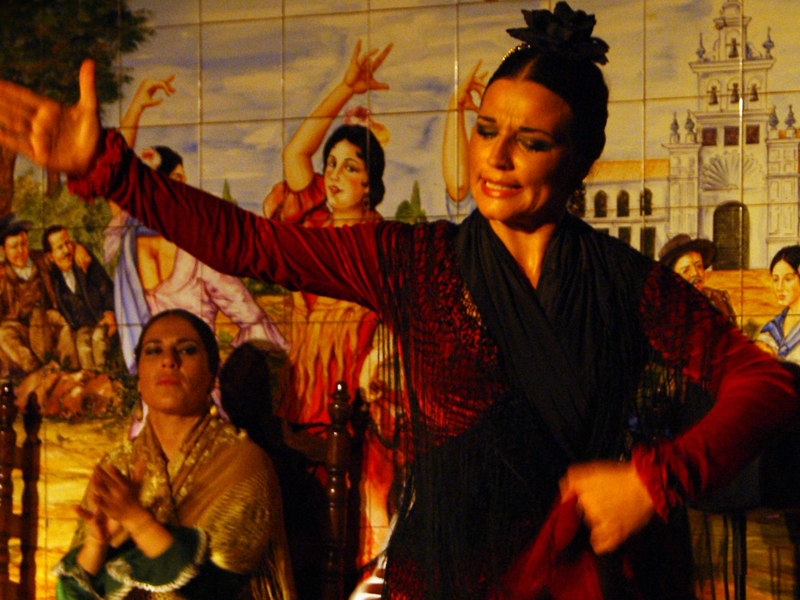 Our Flamenco Tour takes place every Tuesday, Thursday and Friday (rain or shine) at 18:00. If you want to enjoy this tour any other day, contact us: info@ogotours.com. 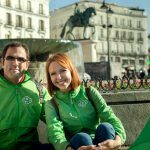 Our meeting point is located at Puerta del Sol (Equestrian Statue of King Carlos III). Just look for our guides holding a sign. Booking required. 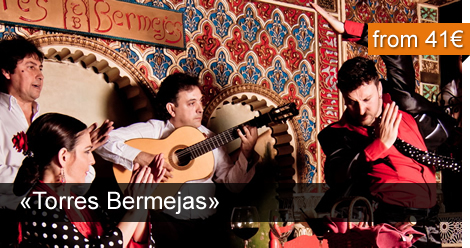 This tour was created and designed by connoisseurs and lovers of flamenco in collaboration with OgoTours. People devoted body and soul to this Spanish artistic expression. We want to dedicate this tour to Paco de Lucia, one of the best flamenco guitarists in history, who passed away in 2014. Paco left us but he will be always alive in our hearts thanks to his music and his inspiration. Rest in peace.